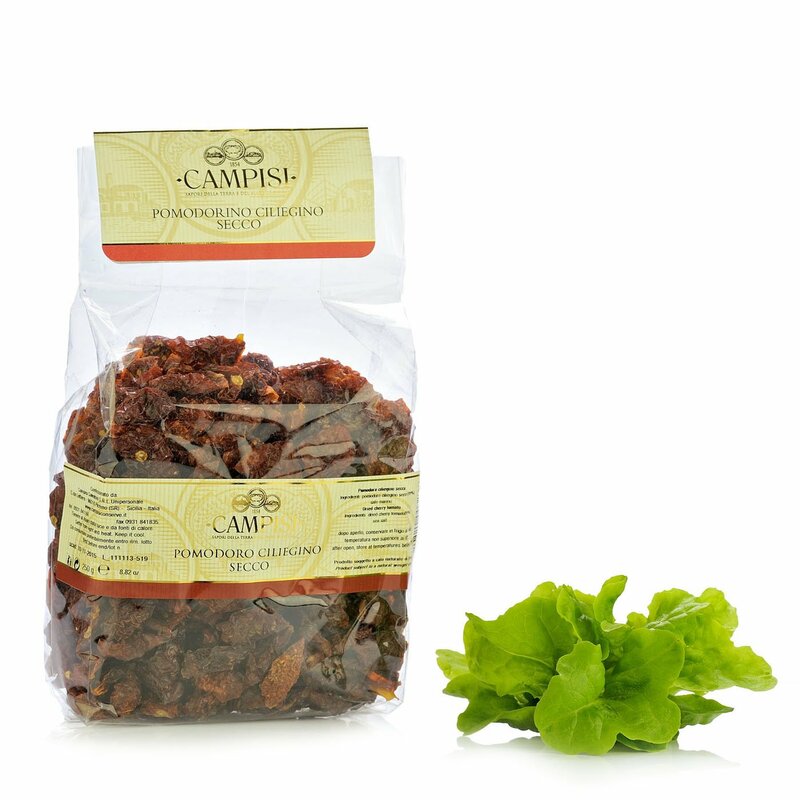 Dry Icherry tomatoes and a pinch of salt: when the ingredients are of such a high quality you need nothing more to guarantee an unmistakable flavour! 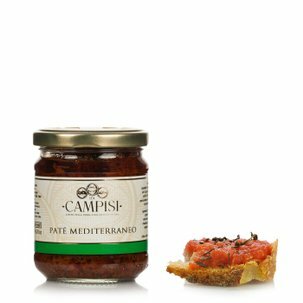 Eataly is well aware of this, and this is why it selected the Campisi cherry tomatoes, 100% natural. They do not have any colourants or preservatives: their intense flavour is the result of the sun that shines over Sicily. Ingredients Pachino cherry tomatoes, salt. ALLERGENS: Produced in a factory which also processes fishery products (fish, shellfish, crustaceans, etc.). For more information on product labels, please contact our Customer Service department. The information on the labels of the products may vary for reasons beyond our control, therefore, there may be discrepancies between the information on the site and that on the products delivered. Please always check the information on the product before consumption or use.